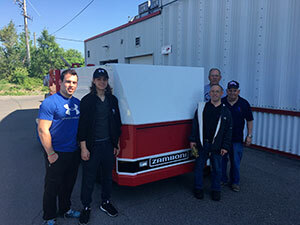 After only a few months of waiting, the group Excellent Ice is adding to their fleet of Ice Resurfacers a brand new Zamboni model 446. Loyal customer of the Team Zamboni since the opening of the Kirkland Center at the end of the 90s, it is their third engine of the 400 series bought from us. 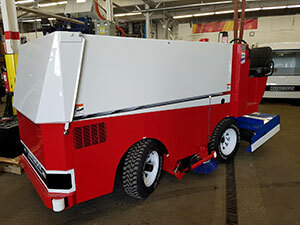 Let’s visit these ice experts and admire their new tricolour Zamboni.